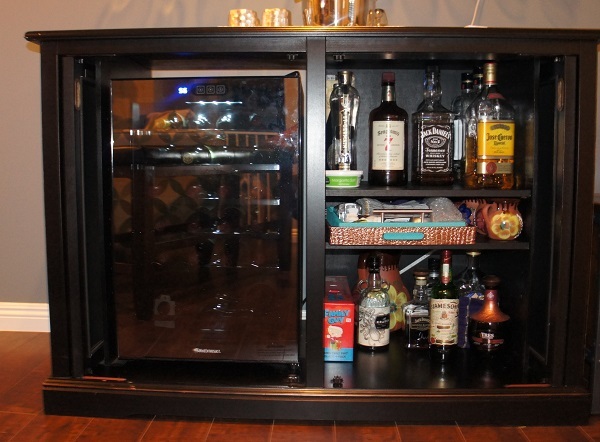 When creating a home bar the options can seem pretty endless. 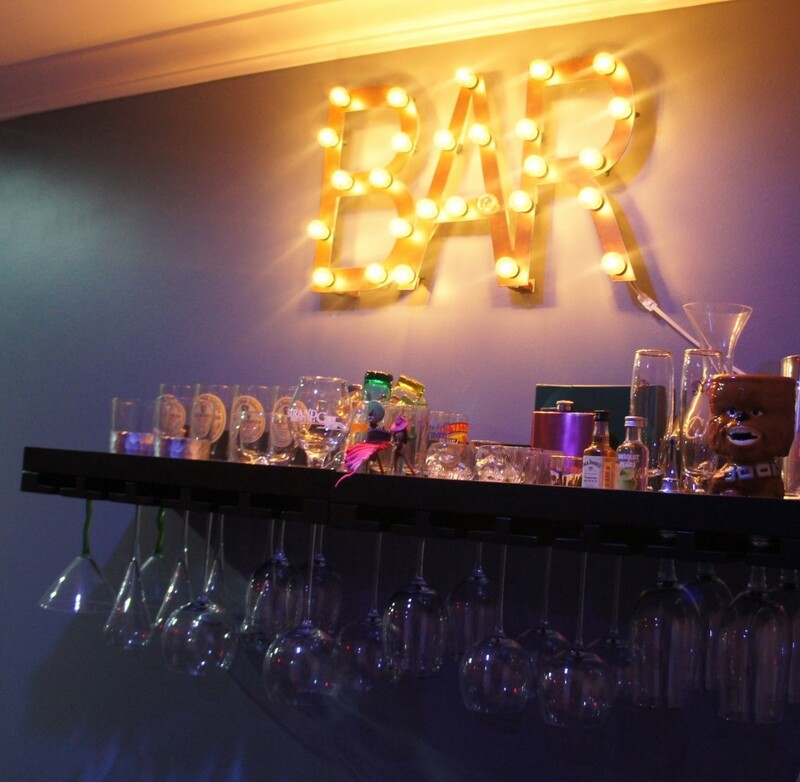 From liquor chest, cabinets, traditional bars, credenzas and built-ins, choosing the best bar for your home can be daunting. Once you’ve created a budget and measured the area, that will eliminate quite a few options. The next step is to decide what features are important to you and your lifestyle. Since my significant other is a aspiring wine connoisseur, so having easy access to a wine fridge was a must. 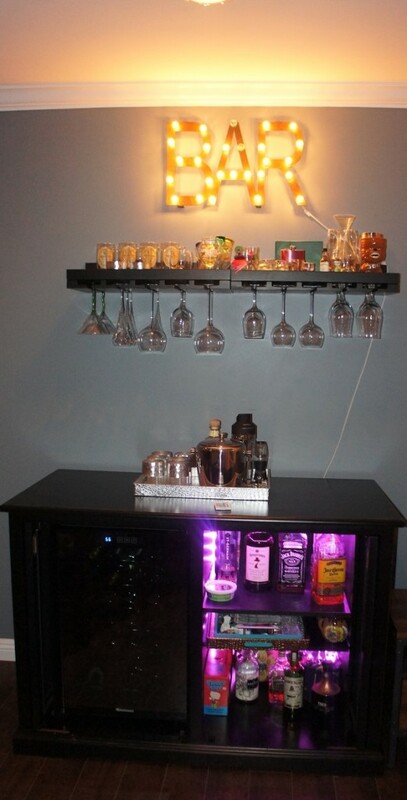 I enjoy cocktails and wanted an area to create my spirited masterpieces along with a place to display glasses and fun accessories. After looking at dozens of bars we ordered the Siena Mezzo Wine Credenza from Wine Enthusiast. The dual side bar is large enough for a 28 bottle refrigerator and the shelving is sturdy enough to hold several handles of the good stuff. 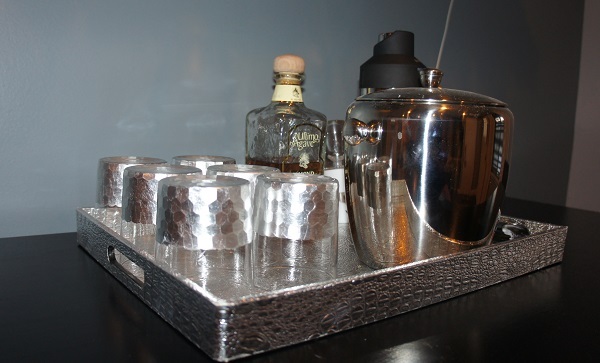 On top I have placed a bar tray from Homegoods, Ice bucked and hand painted silver cocktail glasses from Z Gallerie. 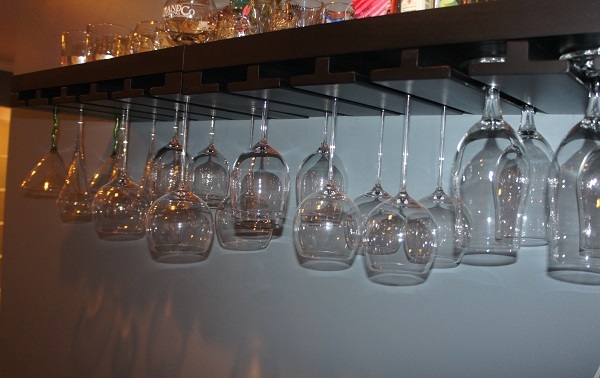 To display our various stemware we picked up two Holman Entertaining Shelves wine glass shelves from Pottery Barn. These shelves provide us with storage and display space for all off our various size stemware on the bottom and glasses and other cocktail accessories above. We even topped off the bar with a vintage style marquee sign. I do take my cocktailing seriously, but don’t forget to add a bit of fun and personality to your bar. 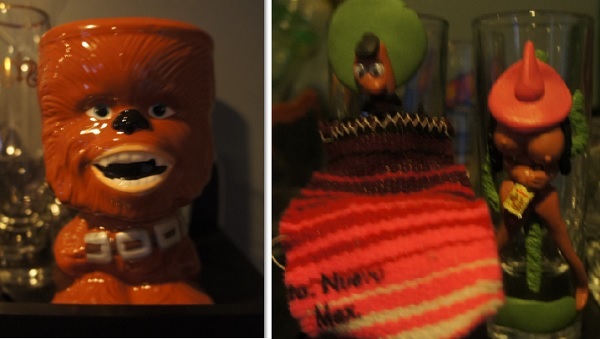 Our Chewbacca goblet and naughty shot glasses from Mexico. 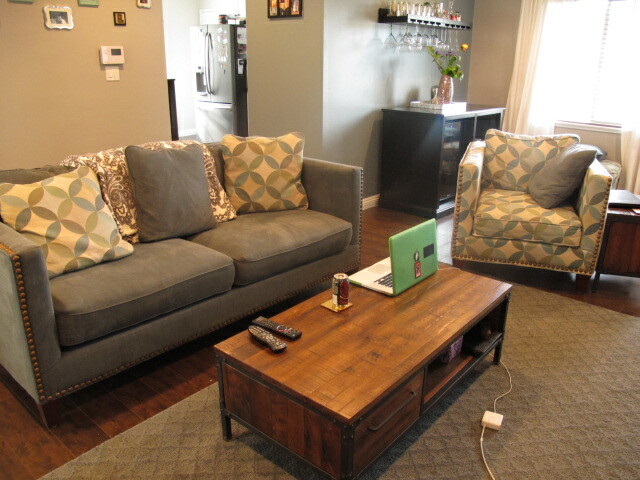 All together these elements create an efficient bar area. That blends nicely into a living room setting. This entry was posted in Hillary's Home Decor and tagged Holman Entertaining Shelves, Home Bar, Home Decor, Homegoods, Pottery Barn, Siena Mezzo Wine Credenza, Wine Enthusiast, Z Gallerie on April 23, 2014 by Hillary.